In Issue #8 we interviewed Greg Rucka, creator of Lady Sabre & The Pirates of the Ineffable Aether; here, his co-creator Rick is interviewed by Zak Zych on the comic-making process and the future of steampunk comics. Check it out! 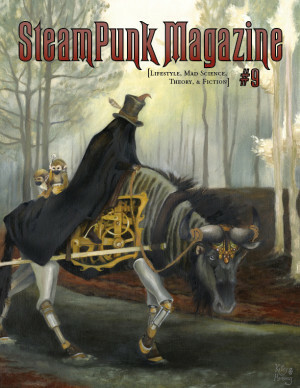 The Steampunk Future of Comics – A Video by Zak Zych from Zak Zych on Vimeo.